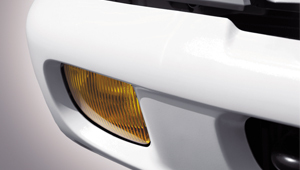 The stylish front headlights are also a major night driving safety feature as they feature Multi Focus Reflection Technology for clearer, wider, and more precise light projection. More than a smart styling touch, the large aperture enhances cooling efficiency. 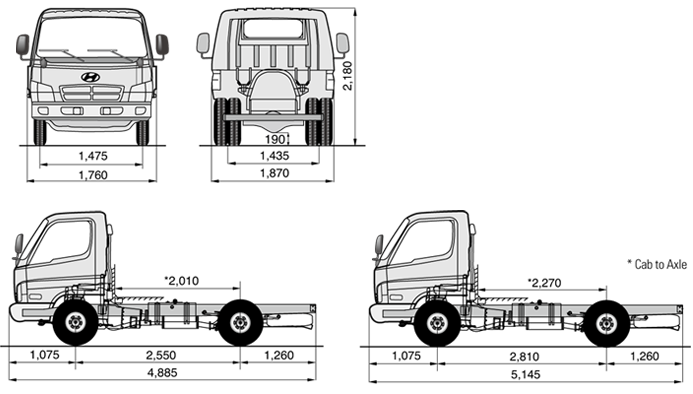 Backlit, clear, and easy to read instruments, in the direct sightline of the driver, make day or night driving more relaxing. 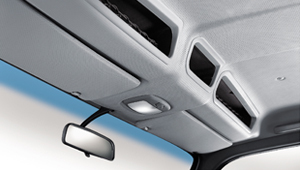 The overhead console provides deep, secure and capacious stowage for sunglasses, papers, maps etc., without impeding free movement in the cab. How much working time is spent looking for papers, maps or delivery notes? 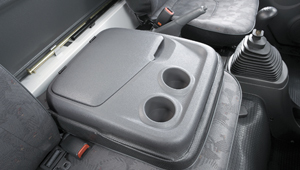 The HD 45 offers convenient door pockets, a capacious glove box, useful space under the audio and a driver's cup holder. 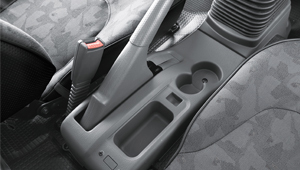 It also features space saving ashtray and non-intrusive inner door handles to allow easier movement. The result is more convenient organization and more business efficiency. 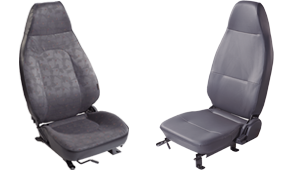 Supportive contoured high back seats add comfort and reduce driving fatigue. The design includes built-in headrests and both sliding and reclining adjustment. The durable upholstery materials are attractive and easy to clean. 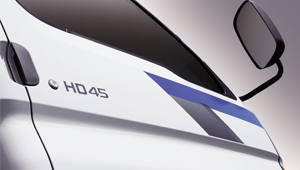 Hyundai HD45 gives the powerful performance which is combined with exceptional reliability and durability. 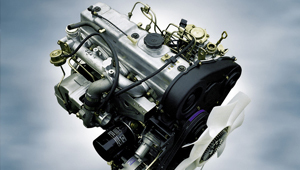 D4BB diesel engine delivers 80 ps and 17 kg·m of torque. That's enough for a top speed of 114 kph, and the precise 5-speed transmission delivers acceleration to stay with the traffic. 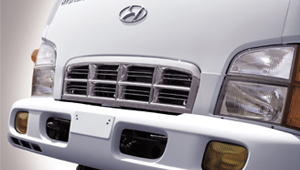 Like every Hyundai engine it's built to give years of reliable service, to save you money and increase operating efficiency. 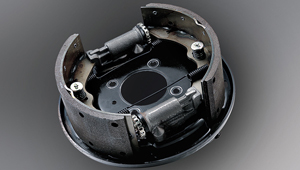 Generous 320 mm x 75 mm brake linings (with optional automatic adjusters) and the same 6.50 x 16 tire size at the front and back, give the HD45 real stopping power. 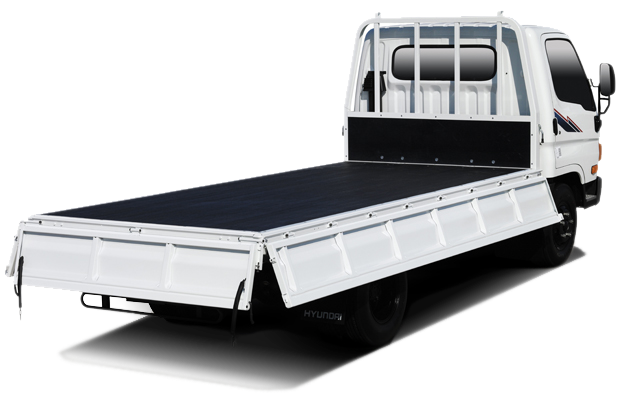 The higher capacity axle and leaf suspension of HD45 exhibits outstanding durability and rigidity and maximize load carrying performance. 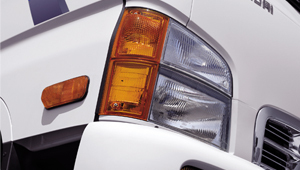 Radiator reservoir is installed on the inner side of the fender and is easily checked and replenished. Washer Tank is mounted in a safe and secure location outside the rear panel where it can be easily checked and replenished. Fuse Box is installed under the instrument panel and enables quick and easy check ups. Tool box provides easy and convenient access to tools. 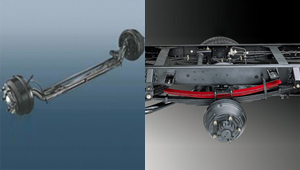 Fuel Tank Lock is ensuring a safe, secure, and comfortable operation. Service Lamp circuit is located right beside the battery for convenient repair during the night time.